summary can be found here on the EHS&RM Webpage. 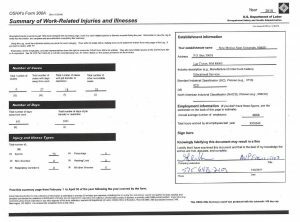 Please click on the image of the OSHA Log for a PDF version to print and post in a central employee area. Under New Mexico law, this annual summary log must be posted from February 1 through April 30. Is there are any questions, please notify the EHS&RM Department at (575) 646-3327.